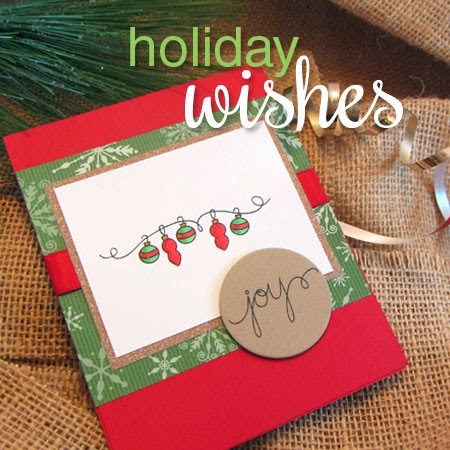 Newton's Nook Designs: Holiday Stamp Set Previews! Happy Friday AND Preview Day! Today I'm so excited to post a preview of our releases this month! We will be adding four amazing Holiday sets to our collection! Starting on Monday we're going to showcase these four sets with our whole design team- and our two special guests - Alice Wertz and Danielle Pandeline - and then all four sets will be available for sale on Friday, Oct. 18! But today I've got a little preview to get you started! 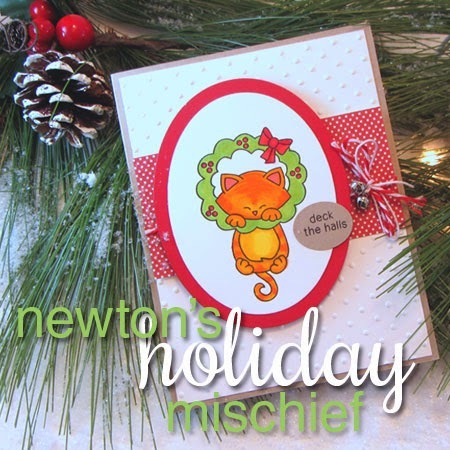 Our favorite feline is back for the holidays in this adorable stamp set. This set showcases Newton, our company namesake, celebrating the holidays by getting into trouble. He's tangled up in lights, swinging from the wreath and going after Santa's milk & cookies! But he's so cute we can't get mad at him! Here's a preview card showcasing one of the stamps from this set! to come! Check back Mondayto see the rest of this set and projects made by our Design Team & Guests! Includes 11 stamps: 8 images and 3 sentiments. You asked for more dogs and we listened! This set features some brand new doggie friends, all ready for some Christmas cheer! These festive puppies will help you get in the mood for some cold weather with their cute little sweaters and holiday gear! 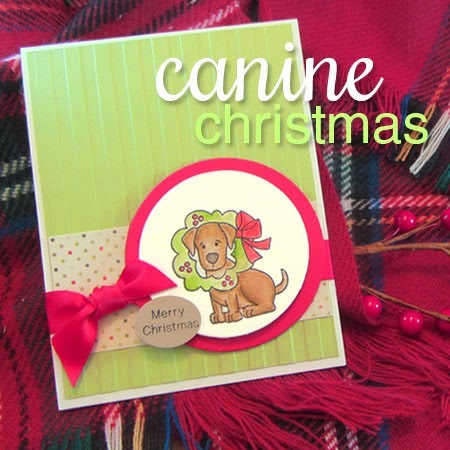 Perfect for sending cards to all the dog-lovers on your list! Here's a preview of the little labrador stamp wearing a wreath! The full reveal of this set will be on Tuesday! Includes 14 stamps: 10 images and 4 sentiments. This stamp set is all about holiday greetings! Mix and match the words to create unique sentiments for the holidays and the new year! Create a line of cute stockings or ornaments. Plus - this set coordinates with our Winged Wishes set - use the birds from that set to hold the lines for you! With all these options you're sure to find the perfect combinations for your holiday cards! Check back on Wednesday for a full reveal! Includes 20 stamps: 3 images and 17 sentiments. Get ready for an ocean of fun with this fun stamp set. Bring your friends and family boatload of holiday silliness with these funny fishes! 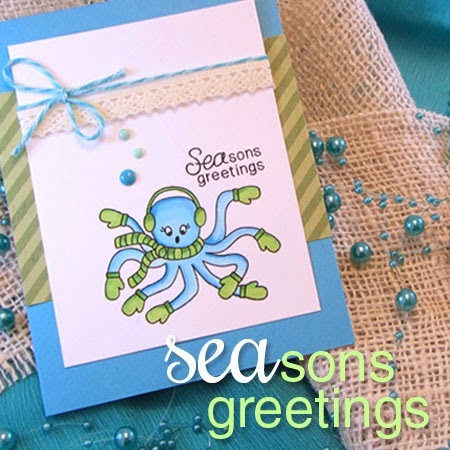 An octopus wearing mittens and fish with santa hats on will make anyone smile this holiday season! Great for gift tags and holiday scrapbooks too! Check back on Thursday for a full reveal of this set - you won't want to miss it! We will be revealing these sets- one each day on Monday through Thursday of next week and all four sets will be for sale in our shop at newtonsnookdesigns.com on Friday, Oct 18! Make sure to stop by each day and comment on all the blogs in the blog hop- we will be doing giveaways of each set! So glad you added the puppy. Bear was not happy with the stamps that I was purchasing - she does not like cats (I'm really not sure she even knows what a cat is :-) and she felt left out. She says I can purchase this set. Oh my, what a delightful series of cards you've 'sneaky peek' showcased here! All four sets suggest a whole lot of 'adorable' and 'versatile' is about to be unveiled. Thanks for sharing; excitement is amping up!! Marylou's comment above had me laughing out loud! Wonderful visit here = wonderful start to my day! I am in love with both the real and stamped Newton! Super fun new sets! OH MY GOSH!! LOVE these! HOORAY for another newton set and CANINE CHRISTMAS = YEAH!! Sign me up NOW, LOL! The other sets are pretty too, but I am a HUGE dog lover so I am wicked psyched for that reveal! Oh my gosh these are wonderful. TFS. Oh these samples look so fun...love the Christmas themes with the different animals! Can't wait to see more of these. Newton is reminding of the joy my cat finds at Christmas. He loves it when we put up the Christmas tree, you'll find him sleeping under it from the time it goes up until the last bit of it comes down. I'm liking what I see already - can't wait to see all the wonderful creations from the DTs! Beautiful cards and I like this card very much. Thanks for the previews. This holiday stamps are looking so beautiful. Thanks to sharing the wonderful holiday stamp.